This time over at The paper players' blog. 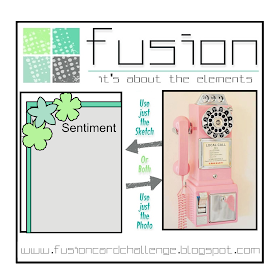 This week's challenge was a tic-tac-toe board. I chose a diagonal row: birds, ribbon and flowers. I think I need more challenges in my crafting life. 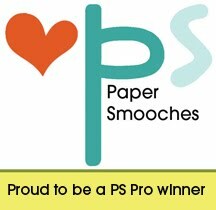 It makes me think outside the box and use supplies other than the newest stuff sitting on my desk. 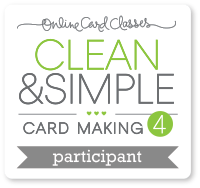 Hop on over and check out their blog! 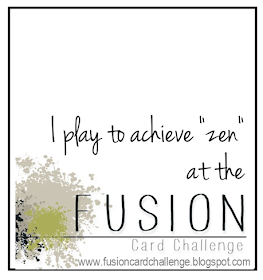 I know I'll be coming back to use older challenges as inspiration. Day 4. Moving into the world of watercolour. 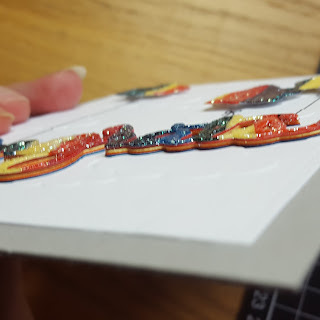 Laura Bassen did some ink smooching (smushing? 😉) for using three variations. 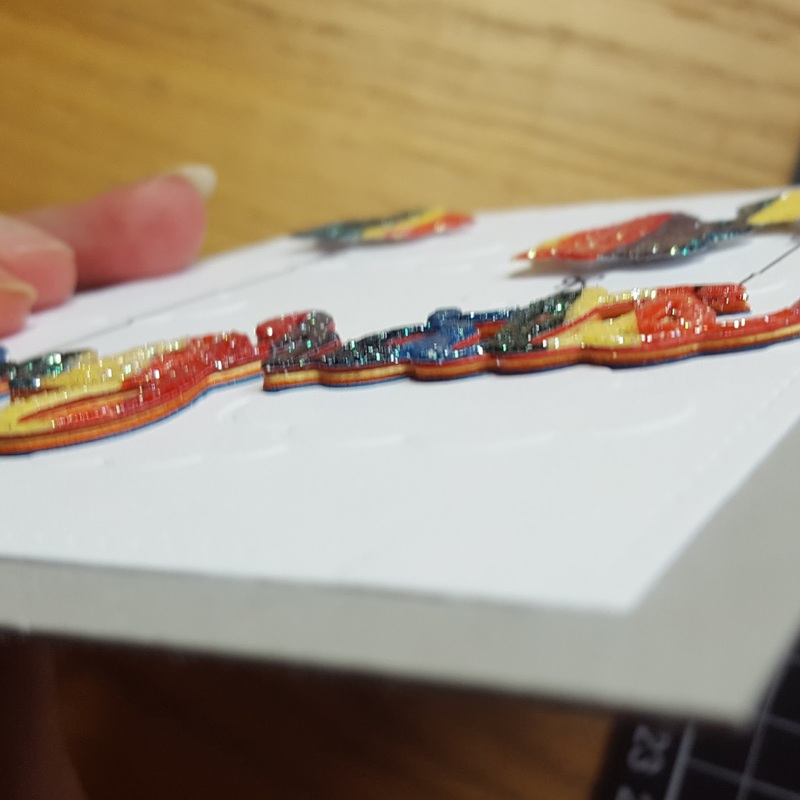 I've never done it with an acrylic block so I had to give that a try. My block has etched lines in it and a couple of times I forgot to use the smooth side so some portions of my background has lines and little pools of colour. I actually really liked that effect! The die is from Memory box (I think). It didn't photograph well but the spring has a good coating of work of Stella. 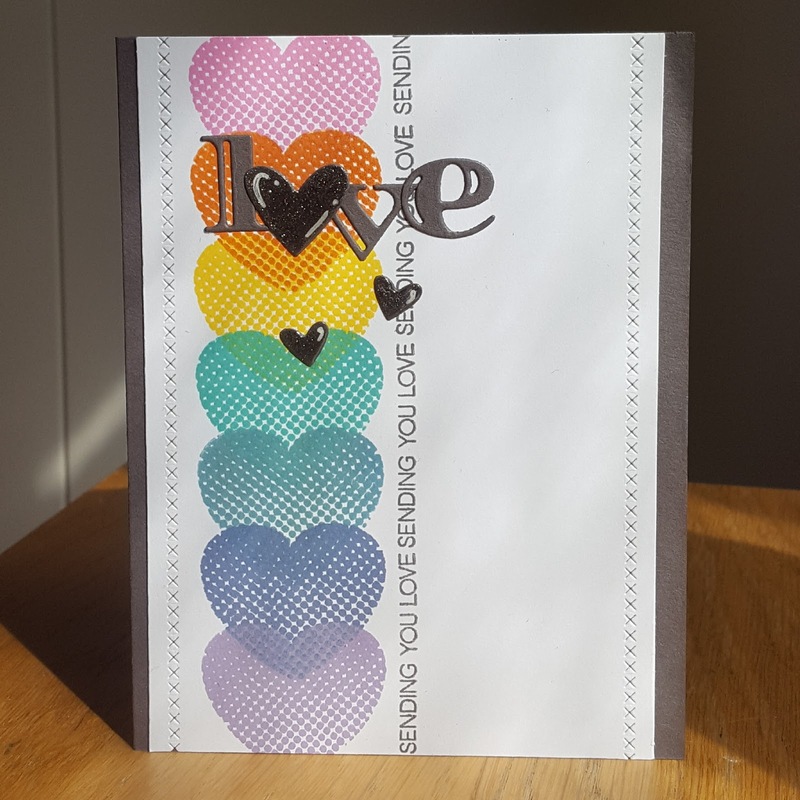 The tiny sentiment from a Simon says stamp set. 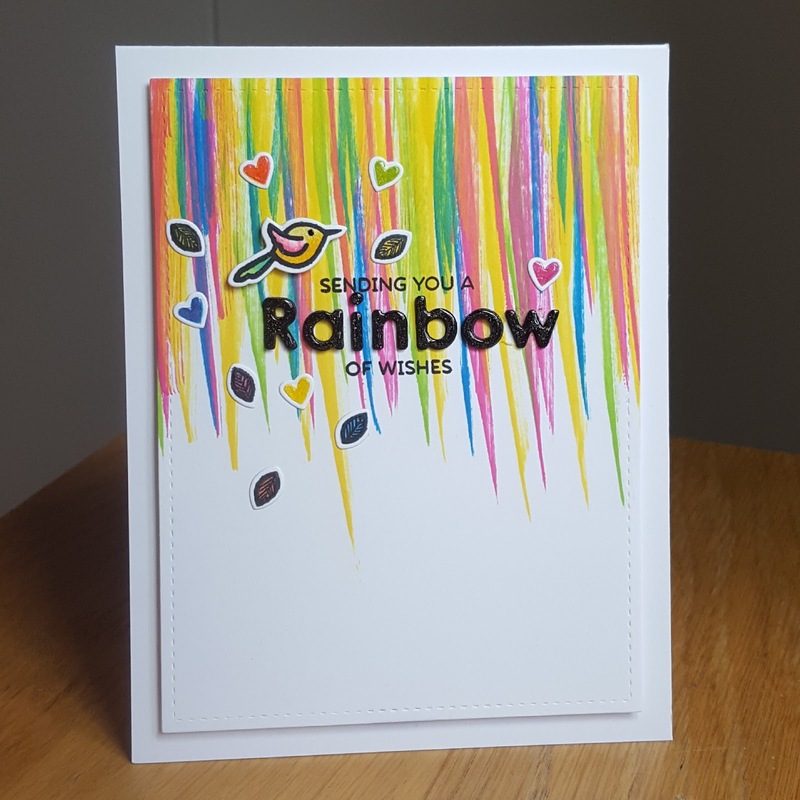 Another option for making rainbow paper is to use your copies, just cutting up your favourite white cardstock into strips and then adding colour with your markers. I die cut two flowers from Paper smooches and did inlays with my Copic coloured rainbow paper. 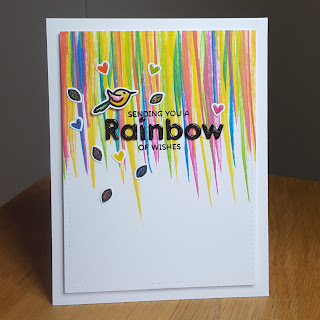 Being uncommonly frugal, I decided to use up the scraps from my rainbow paper and made another card. The Mama Elephant die cuts for two layers of super glittery embossing powder from WOW. 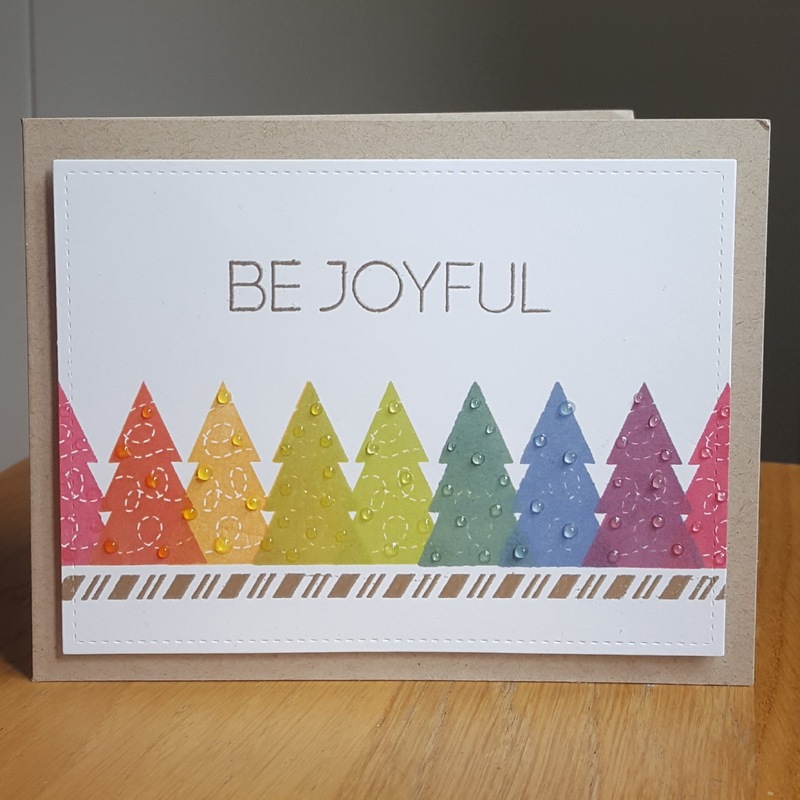 I made a stacked sentiment by die cutting the word from a few of the colours that were in my rainbow. 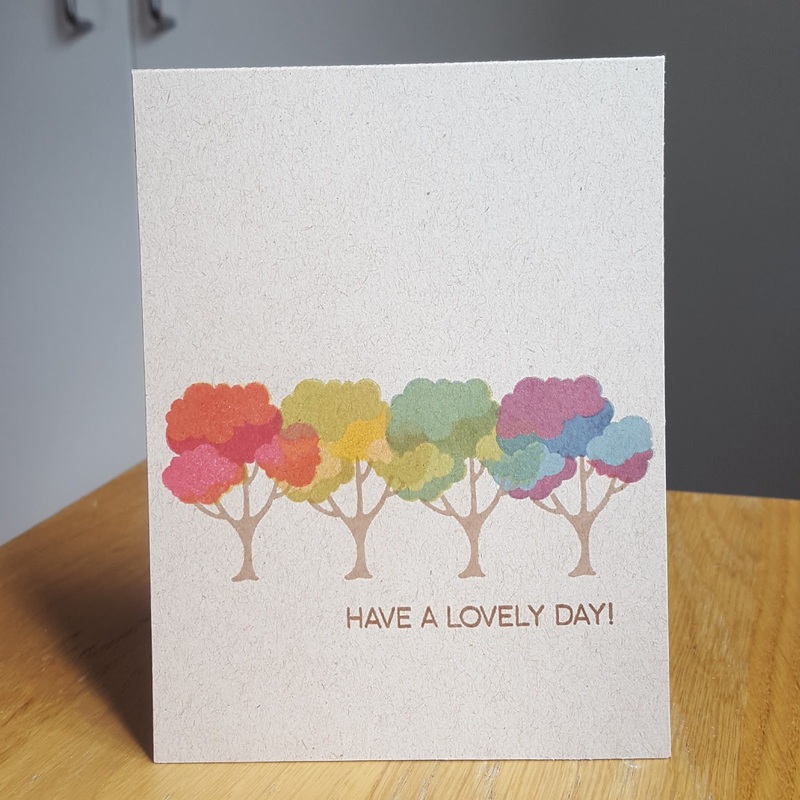 Day 3 was focused on using die cuts to create rainbow cards. 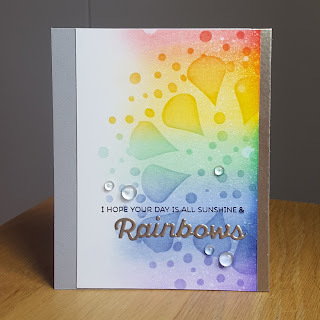 Nichol Spohr shared a technique using cardstock strips to make your own rainbow paper. Since I don't have a lot of coloured cardstock I made do with what I had so my colors are a lot more muted than I would have liked. 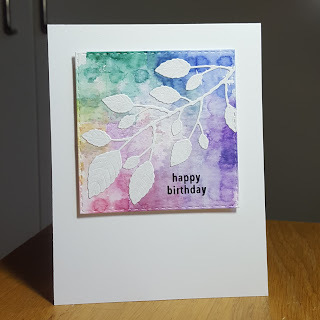 For my 3rd and final card of day 2, I once again used Jennifer's technique of creating new shades of colour but this time using a layering stamp from Altenew. Also, I went wild and crazy and stamped on KRAFT cardstock *insert gasp*. It toned down the colours and gave them a muted, more "fallish" look that I thought went well with the trees. 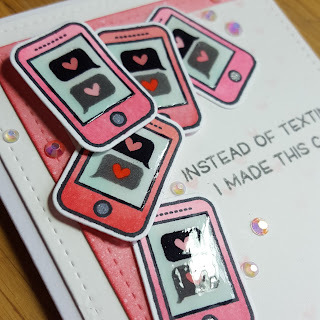 For my second card I used the Altenew set Halftone hearts in a repeat pattern. 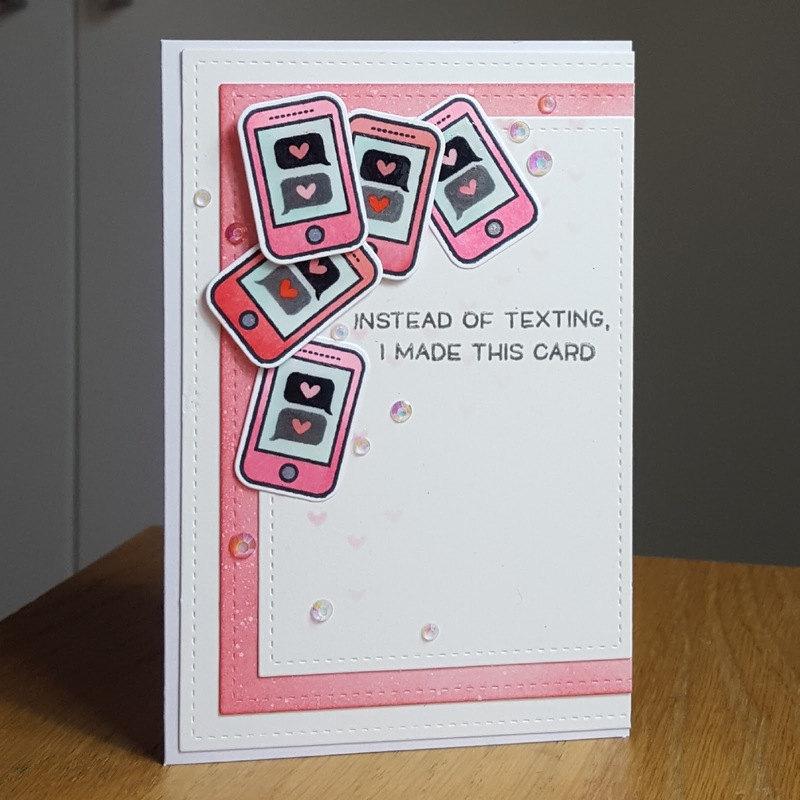 Oh how I live my MISTI for these kinds of cards! The dies are also an Altenew product, Inline alphabet, and the stitching was made using Lawn fawn dies. 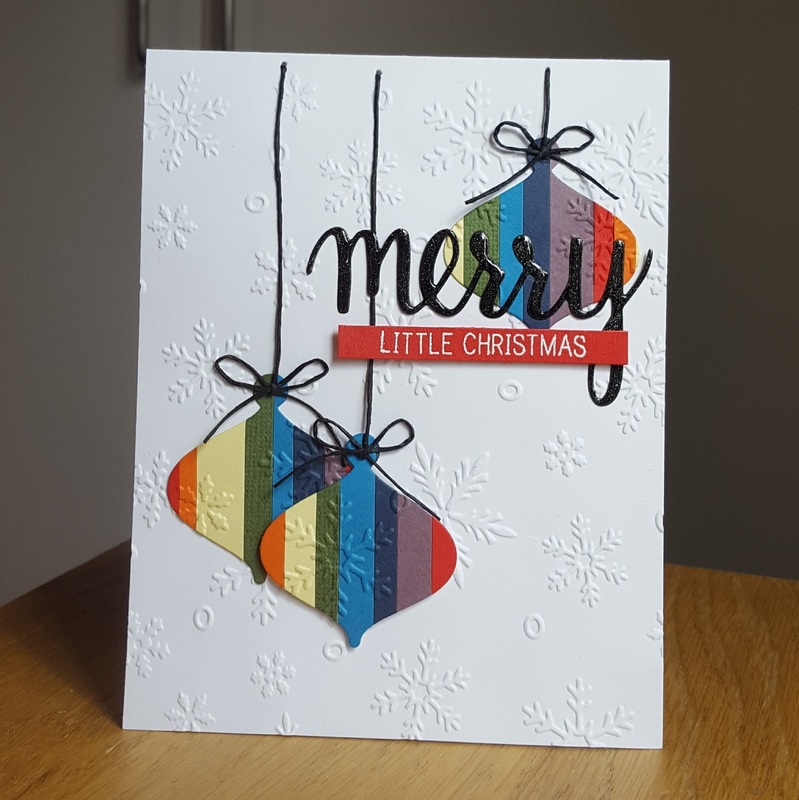 Day 2 was all about rainbows stamping. For my first card I used Jennifer McGuire's technique of repeat stamping. By using just a few colours of ink but overlapping them, new shades were created. 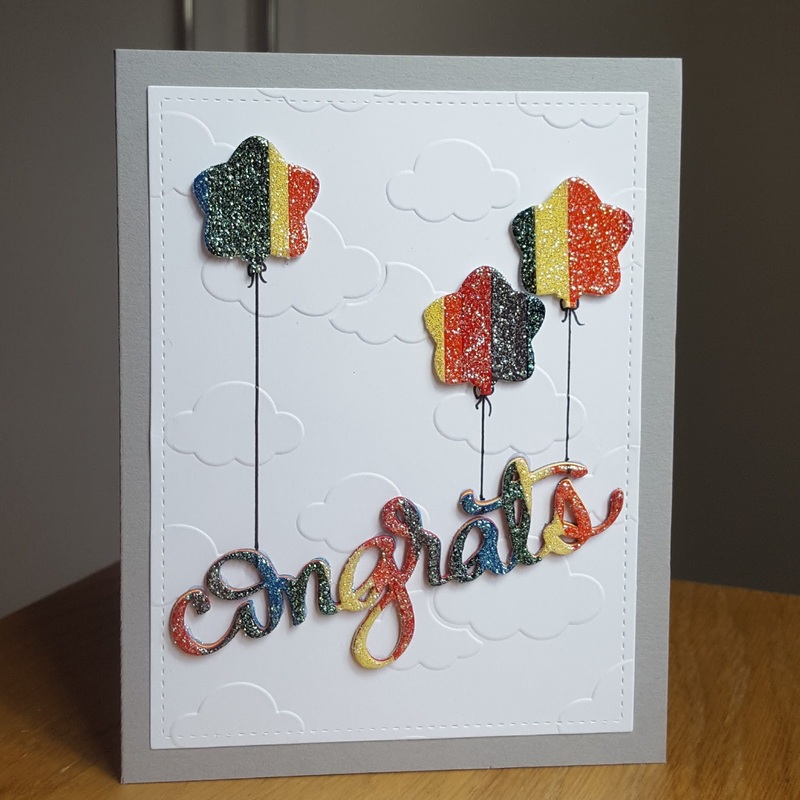 For example on this card I used red, then red + yellow, pure yellow and then yellow + green and so on. 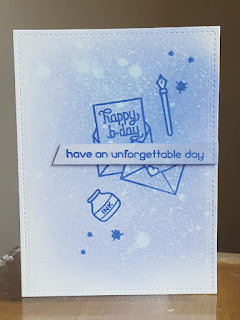 The stamp set is a rather old one from Simon says stamp, from the November card kit 2014. 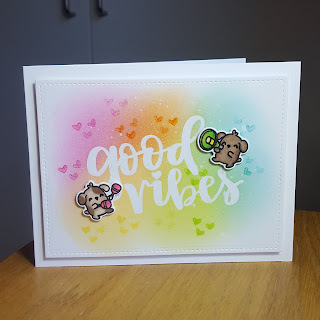 Some more ink blending, this time with regular distress inks. The heat embossed sentiment is from Concord & 9th and the puppies from Mama Elephant. 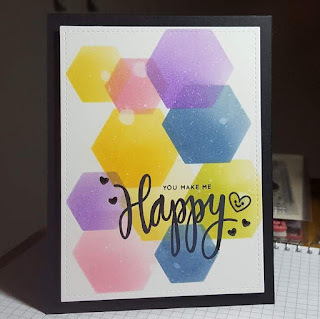 Another ink blended card, this time using distress oxides and a hexagon stencil from TCW. 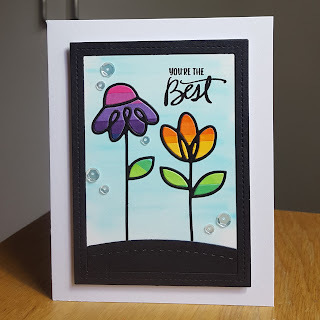 For this card I used my Lawn fawn ink pads dtp. The pattern made me think of feathers so I stamped and coloured a little birdie from Paper smooches. 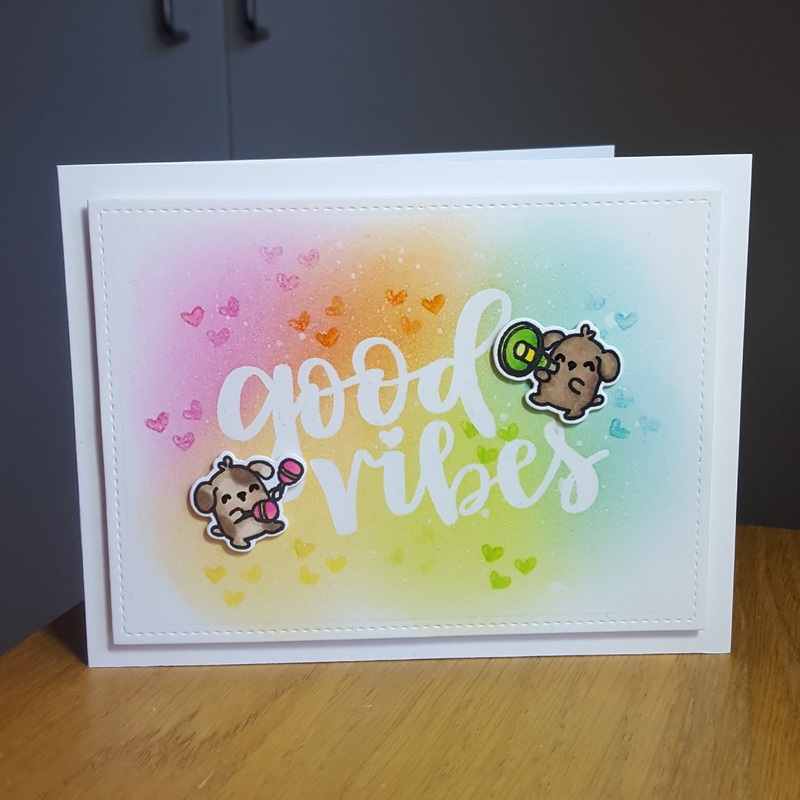 Distress inks applied using an ink duster dtp, then added the same colours on top but this time through an old TCW stencil. Well dear cyberspace friends, I think this might be the end of the road for my blog. 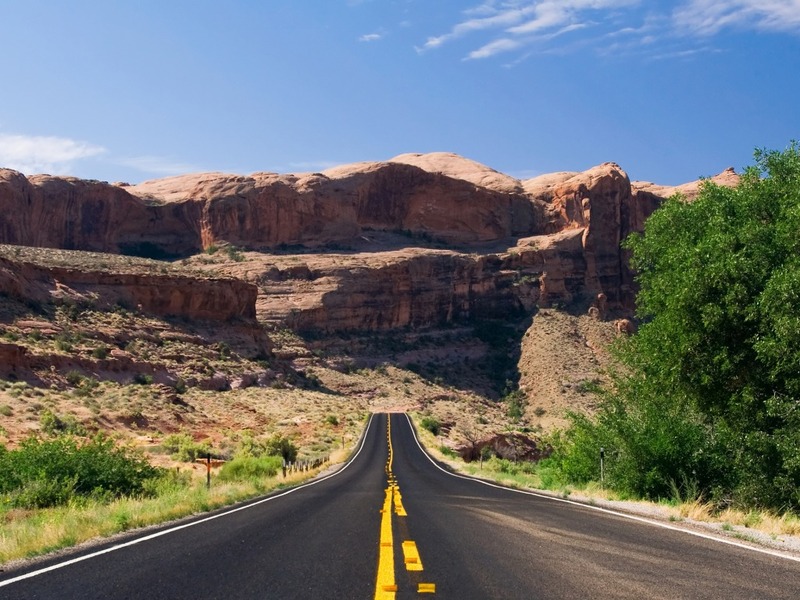 At least it will take a much needed vacation and maybe, when life gives me some breathing space, it will be back (with a vengance?). 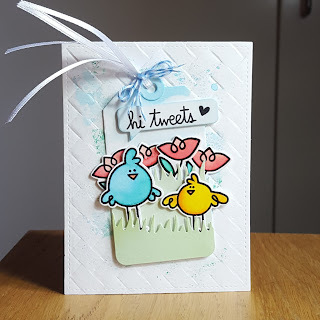 You'll still find the occasional post for a challenge entry here but as of now you'll find my card concoctions on Instagram. If you're a IG-user, feel free to follow me at babsanpysslar.